Most of the time, we read the books before we watch the movie. That was true with The Bridge to Terabithia, all of the Narnia movies, and even most of the Disney movies. Every once in a while, however, we discover that the books existed after we watch the movies. This was how we came upon Cressida Cowell’s dozen or so books, which provide a great father-son reading at bedtime. The movies do not exactly coincide with the books, which is actually a plus since the books allow Hiccup, the main character, to live on in the hearts and minds of those who love him. 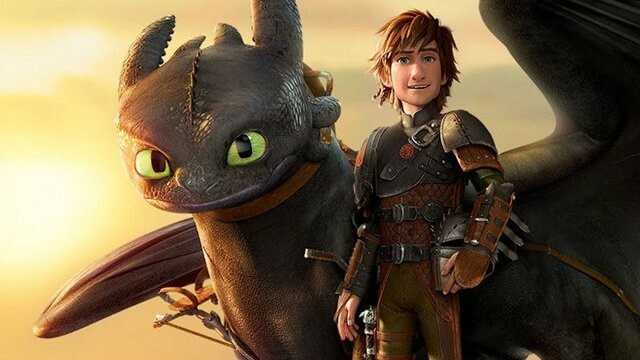 As with most things in this age of multi-marketing, there is also a Netflix series called, “Race to the Edge,” which tells the story of Hiccup and his friends following other adventures. But this is a movie review, so let’s start with the first one. Hiccup is the son of a Viking king who has to capture and kill a dragon to mark his passage into Viking manhood. Problems develop, however, when Hiccup accidentally captures Toothless, a Night Fury dragon, and cannot bring himself to kill him. The two become friends and the rest of the first film is Hiccup’s story of convincing his father and the other Norseman that dragons are not the enemy. It is a great family film. The animation is great, the surprises and the drama keep everyone in the family on their toes. Hiccups humor adds to the entertainment value and, as a parent, I found myself really liking this kid. In the second film, the Isle of Berk has become a haven for dragons, living alongside the villagers in peace. There are, however, those who still hunt and kill dragons in an attempt to control the known world. A battle ensues and, in the midst of the mayhem, Hiccup loses one parent, discovers another, and falls in love. The sequel is rare – just as good as the first. It is not as child-like as the first, but just as entertaining. The third adventure will be out next week and we plan to re-watch the first two in preparation.